GOLD Coast academy member Jack Bowes put in another brilliant performance to put forth his case to be drafted at No.1 this year. Bowes finished with five goals and 20 disposals as Queensland ran out 18.11 (119) to 4.7 (31) victors against Tasmania. The midfielder was his typical self, showing class and composure with the ball. He rested in the forward line and did much of his damage in attack. Connor Ballenden also booted five goals for the Queenslanders. Ballenden will be eligible for the 2017 NAB AFL Draft and showed off his excellent set shots for goal, including drilling one from 50m out. He started the game quietly but lifted his output in the second half. 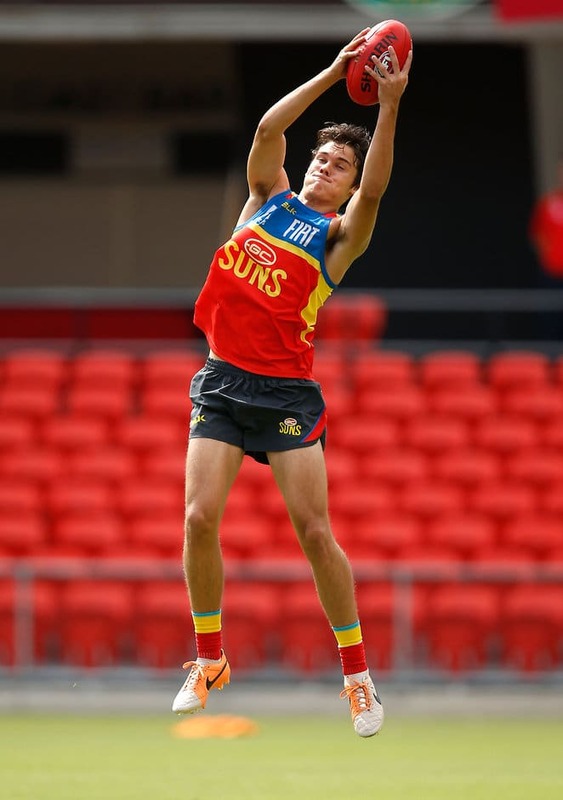 Standing at 198cm, the Brisbane Lions academy prospect will have Lions fans excited. Another talent involved in the Gold Coast academy, Josh Williams, had a sparkling game. Williams provided one of the moments of the match, when he slotted a brilliant goal on the run in the second quarter. He had started on a wing and went past a couple of opposition players. His elite speed is perhaps his most promising trait. Defender Declan Watson was impressive off half-back. Standing at 194cm, Watson controlled the play with his intercept marking and consistently beat his opponents. He racked up 26 disposals and six marks. Another member of the Suns' academy Brad Scheer was the top disposal-winner for the game, with 29 for Queensland. For Tasmania, the most exciting prospect was 16-year-old Tarryn Thomas, who was named the NAB AFL MVP for the state. His class and size (186cm) have him earmarked as one to watch for the future. Thomas will also play the under-16 championships later this year. Half-back Josh Farrow showed his skill and willingness to attack the ball hard. Inside midfielder Thomas Mundy collected 16 disposals on a tough day for the team, while Jake Hinds had 19.